A little bit of something to get back on our 80's track. A brand new New Wave book is out. 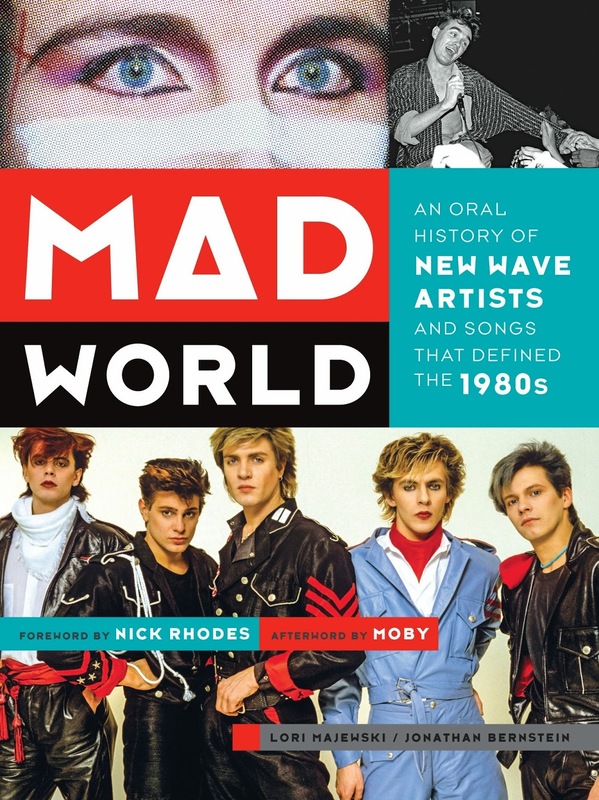 It is entitled Mad World and it is a highly entertaining oral history that celebrates the New Wave music phenomenon of the 1980s via new interviews with 35 of the most notable artists of the period. Each chapter begins with a discussion of their most popular song but leads to stories of their history and place in the scene, ultimately painting a vivid picture of this colorful, idiosyncratic time. Mixtape suggestions, fashion sidebars, and quotes from famous contemporary admirers help fill out the fun. Participants include members of Duran Duran, New Order, The Smiths, Tears for Fears, Adam Ant, Echo and the Bunnymen, Devo, ABC, Spandau Ballet, A Flock of Seagulls, Thompson Twins, and INXS. Authors are Lori Majewski and Jonathan Bernstein with an foreword by Nick Rhodes and afterword by Moby.